Senco Glass reactors are developed by sticking to the basics, keeping in mind safety of the user and focusing on giving desired results. They enable to achieve desired results affordably and are backed by trustworthy service. 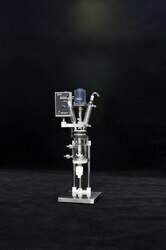 The Cap Style reactor is simple yet accurate, basic yet precise, up to the mark on performance and friendly on budget. 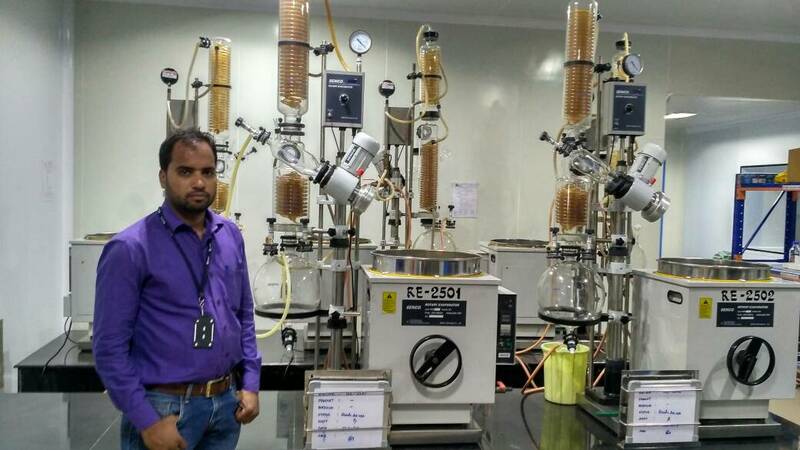 These Jacketed Reactors are used for a variety of applications including: · Common Chemical Reactions Liquid/Liquid, Liquid/Solid · Distillations · Reflux Boiling · Azeotropic Distillation (Phase Separation) · Evaporation to any desired consistency · Multi-component Reactions · Gas dispersion below liquid surface · Crystallization · Mixing · And many more…. OPERATION Flask Cap 5L Reactor (5-Port Reaction Head) · F60, Flange Stirring Neck · ST24, Taper Charging Neck · ST24, Condensing Neck · ST24, Dripping Neck · ST24, Thermometer Neck Vacuum Sealing system Specially designed and precisely manufactured Anti-corrosion and Wearable Sealing Systems in these Jacketed reactors enables to reach ultimate vacuum rates of less than 3 Torr. High quality material leads to longer seal life and hence about 90% of the users did not replace the seal in one year. PTFE Side Discharge Valve (Optional) No dead angle, air isolated discharge. Maximum drift diameter is Ø20mm. Preload discharge valve is able to decrease flask crack risk due to improper over-screwing of discharge valve.